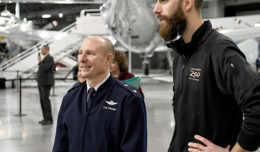 LANCASTER, Calif.–Col. 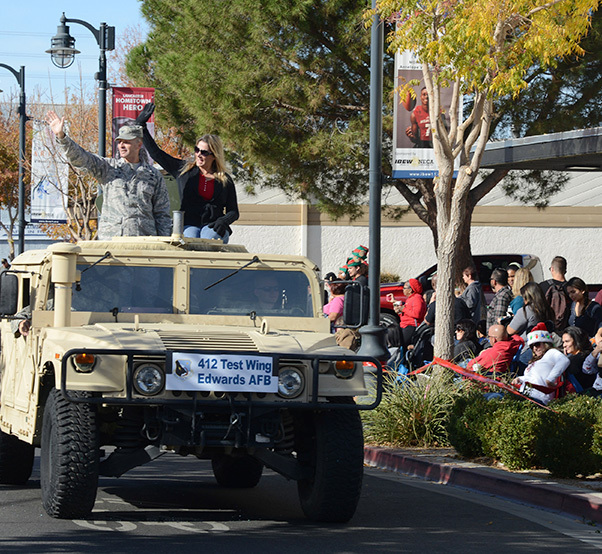 Norman West, commander of the 412th Medical Group, and his wife Michelle greet the crowds on Lancaster Boulevard during the Lancaster Christmas Parade Dec. 2, 2017. 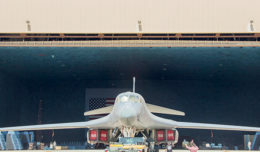 West was representing the 412th Test Wing and Edwards Air Force Base. Driving the Humvee is Senior Airman Nathan Dunn, an explosive ordnance technician with the 812th Civil Engineer Group.